. . . that butterflies don’t have noses? They smell with their antennae!
. . . that a butterfly’s mouth is like a drinking straw? 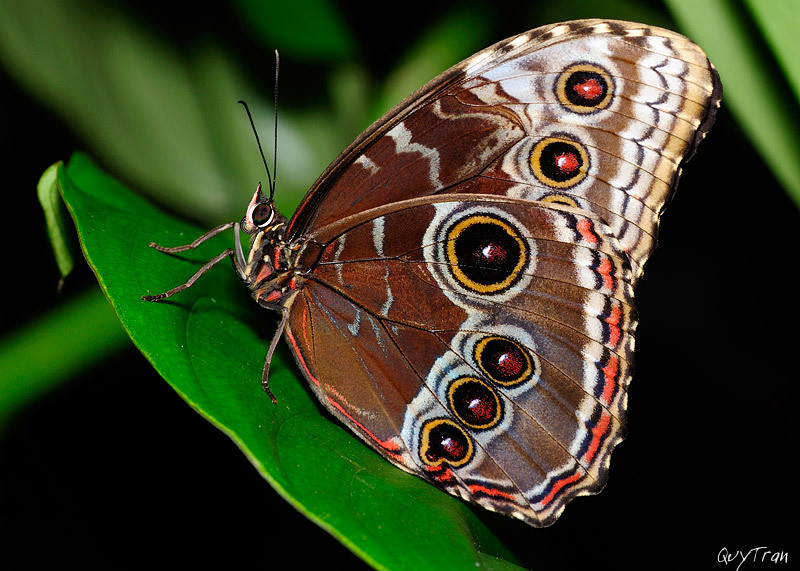 That’s because butterflies only eat liquid foods, like nectars from flowers or fruit. The mouth, called a proboscis, stays rolled up until it’s time to eat.
. . . that a butterfly wasn’t always a butterfly? Every butterfly starts as a tiny egg that hatches into a caterpillar. The caterpillar grows and grows until it’s time to build a hardened shell around its body, called a chrysalis. While the caterpillar sleeps inside the chrysalis, its body changes and grows new parts. When it comes out, it has become a butterfly, quite a different creature than a caterpillar! Did you know that you can become a new creature, too? You may not grow wings and learn to fly, but God can give you a new life. Do you sometimes do things that make you feel bad inside? Maybe you were mean to someone at school or told a lie to your parents. God calls those bad things sin. Everyone is born knowing how to sin, and everyone who sins must be punished. But God, who loves us, doesn’t want us to sin. He wants us to be like Him–loving, kind, and good. Just as a caterpillar becomes a more beautiful butterfly, God can help you become more like Him. God sent his only Son, Jesus, to earth to be a human, just like us, except Jesus never sinned. Even so, He chose to die so that He could pay the death penalty for our sins. Three days after He died, God raised Him back to life again!